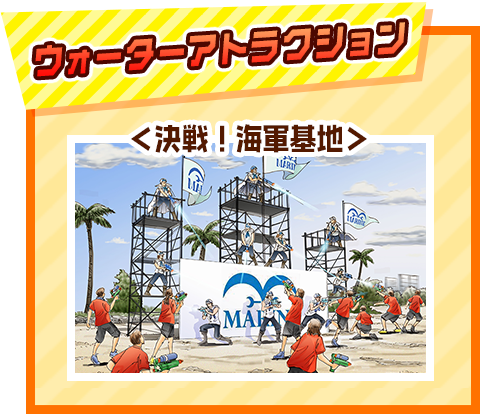 The content of the course such as the attractions for "ONE PIECE RUN in Okinawa 2017" are set! These are what will catch your eye!! 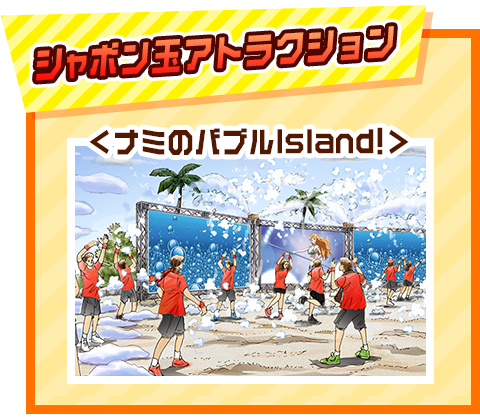 Experience water attraction with the image of the battle of the navy frontline base. The detour route for civilians to take without getting wet. Pirates are to get ready to get soaked and fight against the navy with a water gun! A bubble attraction that brings to mind Nami's killing technique "Milky road" with soap that comes from her Clima tact. You can run through the middle of falling soap bubbles! .What's more you can have fun playing with soap bubbles with a soap stick!! 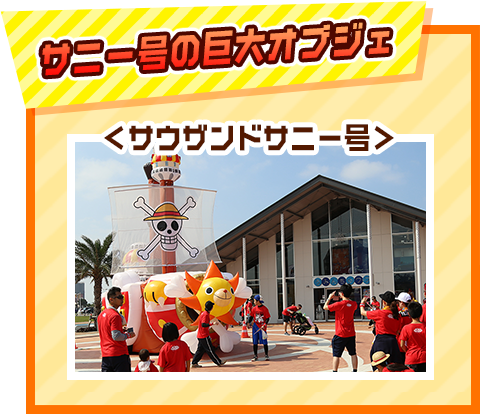 The familiar gigantic object from the last year's ONE PIECE RUN will appear this year as well! Under the guard of the company, the Thousand Sunny which takes over the will of the great ship, let's go through the second half of the road! 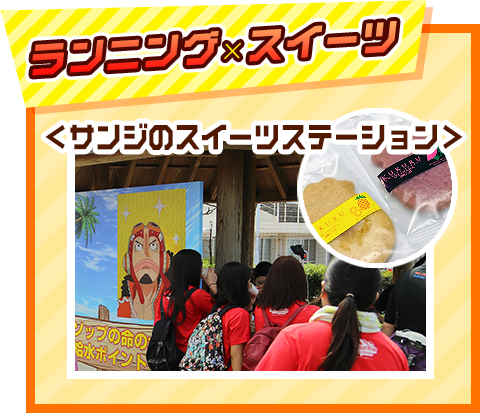 Last year everybody loved the rest spots with "Usopp Life Water", this time you can have fun with sweets! Run through it energetically until the end while your tired body is re-energized with sweet eats!! 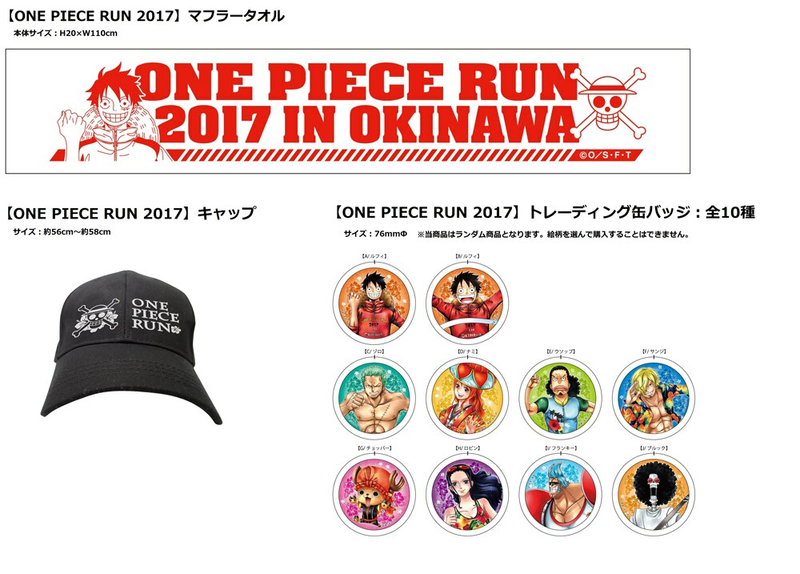 The limited goods of "ONE PIECE RUN in OKINAWA" is exhibited! The limite goods which get only at this event.